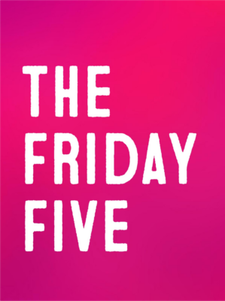 For those of you new to the Friday Five, it was born out of inspiration from John at Sound of One Hand Typing Be sure to stop by and say hello on his blog as well. It's been incredibly warm here in the Pacific Northwest, hitting triple digits this past weekend. But by Wednesday, it had cooled off again and our traditional liquid sunshine has returned just in time for the annual Grand Floral Parade here in Portland. I've always said it's not really a Portland parade unless it rains. 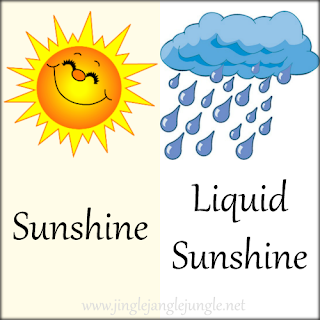 In honor of our weather, I've chosen the theme of sunshine for today. "Here Comes the Sun" is a song written by George Harrison that was first released on the Beatles' 1969 album Abbey Road. Along with "Something" and "While My Guitar Gently Weeps", it is one of Harrison's best-known compositions from the Beatles era. The song was written at the country house of his friend Eric Clapton, where Harrison had chosen to play truant for the day, to avoid attending a meeting at the Beatles' Apple Corps organization. The lyrics reflect the composer's relief at both the arrival of spring and the temporary respite he was experiencing from the band's business affairs. "Island in the Sun" is a song by the American rock band Weezer. It is the second single from the band's 2001 self-titled album Weezer. "Island in the Sun" was not originally planned to be on the album, but producer Ric Ocasek fought for its inclusion. It was a successful radio single and perhaps the band's biggest hit ever outside of the United States, reaching No. 31 in the UK and No. 17 in France. In January 2002, the Australian Triple J Hottest 100 ranked the song 7 in its 2001 countdown. "Island in the Sun" is also the most-licensed track in the Weezer catalog. In 2009, Pitchfork Media named it the 495th greatest song of the 2000s. "Walkin' on the Sun" is the debut single by American rock band Smash Mouth, from the album Fush Yu Mang. Released in 1997, it was Smash Mouth's first major single, reaching #1 on the Billboard Modern Rock Tracks chart and #2 on the Billboard Hot 100 Airplay singles chart. "Sunny Afternoon" is a song by The Kinks, written by chief songwriter Ray Davies. The track later featured on the Face to Face album as well as being the title track for their 1967 compilation album. Like its contemporary "Taxman" by The Beatles, the song references the high levels of progressive tax taken by the British Labour government of Harold Wilson. Its strong music hall flavour and lyrical focus was part of a stylistic departure for the band, which had risen to fame in 1964–65 with a series of hard-driving, power-chord rock hits. If you are so inclined, I do have these songs in playlist format. 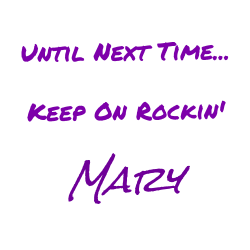 Click Here for the playlist. What's your weather like? Are you having sunshine or rain, or possibly even that rare summer snow? 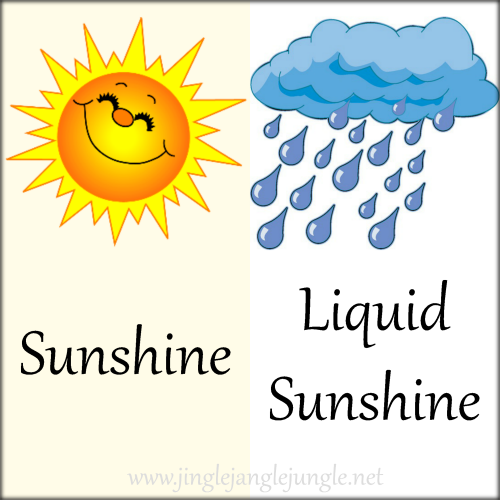 Do you have a favorite sunshine song? Tell me all about it... I'd love to know.